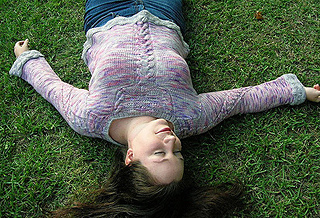 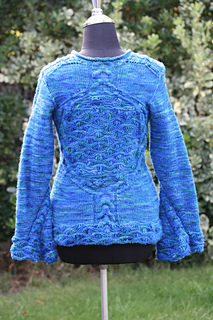 This seamless sweater knit up in Fiber Fiend Yumm or Malabrigo Worsted combines seafoam lace with horseshoe cables to create a dynamic and vibrant garment. 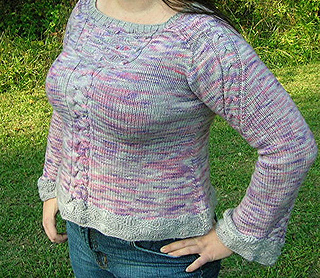 Seascape is a fitted bell-sleeve pullover with saddle shoulders, a rolled neckline, and two-stitch cable faux seams that provide structure. 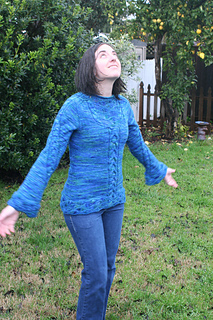 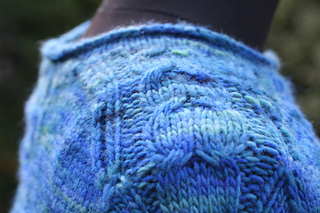 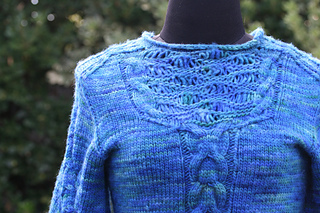 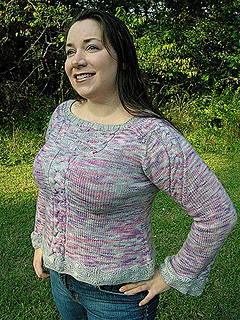 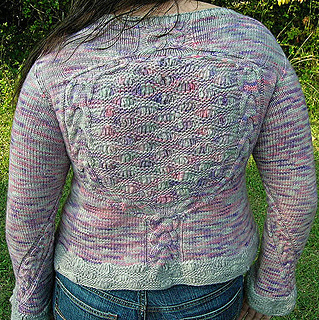 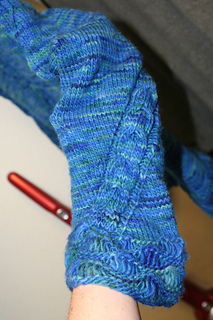 Seascape is knit bottom-up; the body is joined with the sleeves at the armpits and a saddle-shoulder yoke finishes the sweater off. 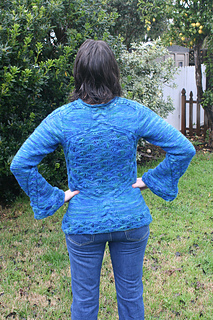 The openwork seafoam pattern on the back of Seascape leaves endless opportunities to wear a garment underneath of any color, or nothing at all, providing a variety of scenery to watch through the Seascape. 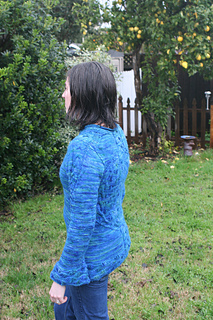 Seascape is made to fit tightly with minimal ease. 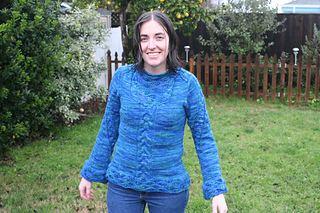 mirrored spirals all around the sleeves.